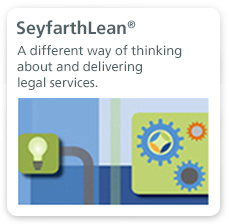 In order to best manage legal work, we believe it must first be measured. Our data team partners with clients to identify key performance indicators and create the mechanisms required to collect, store, synthesize and visualize data to provide greater insight and control. Our experience in providing data solutions spans litigation, regulatory, counseling and various transactional areas of practice. We have created plans and operational systems that help track matter cycle time, spend by matter type, trends in legal issue, breakdowns of claim occurrence, counseling calls by business unit and beyond. At all points, our data solutions projects are aimed at enhancing awareness, better controlling spend and providing insights to mitigate risk or avoid legal spend. 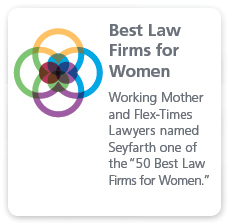 We are committed to a more quantified understanding of the practice of law and believe our approach and skills to lead the market. 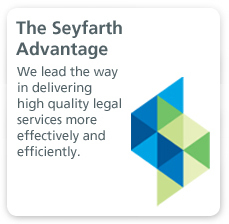 Using the extensive technology toolset provided by SeyfarthLink, we bring data solutions to life by building data stores and highly-visual tailored dashboards to summarize practice data into easy-to-consume formats. Depending on data focus, we are also able to provide deep statistical analysis. Regression models that relate matter attributes to particular outcomes and results can provide added insight and help clients identify risk. These deeper analytical constructs can also be served up through SeyfarthLink.